Pick up the newspaper and the headlines scream the latest on the US government’s shut-down. Switch on any news channel and you can be sure to find some more live coverage on the topic. A shroud of uncertainty lies over the Nation. Concern has filled the hearts of many today. I honestly pray there are savings and funds that can be dipped into in an emergency and hopefully this will all will end with a positive outcome soon! 1. Get rid of the “I will plan for the future tomorrow” mindset. Tomorrow is never promised! Life seems to whiz by on fast mode and you may need to stop working before you know it. Sit down with your spouse/concerned family member(s) and talk about your financial future(s) today! 2. Research and invest into a guaranteed income for life plan that will allow you to live comfortably yet not worry about where your next bill payment will come from, when you choose to retire. 3. Don’t put all your eggs into one basket. Diversify your investments and put it into funds, policies and plans that can be accessed in an emergency yet, gives you the best return for your money saved. It isn’t always easy to handle this independently. Seeking advice from a financial consultant is always recommended. 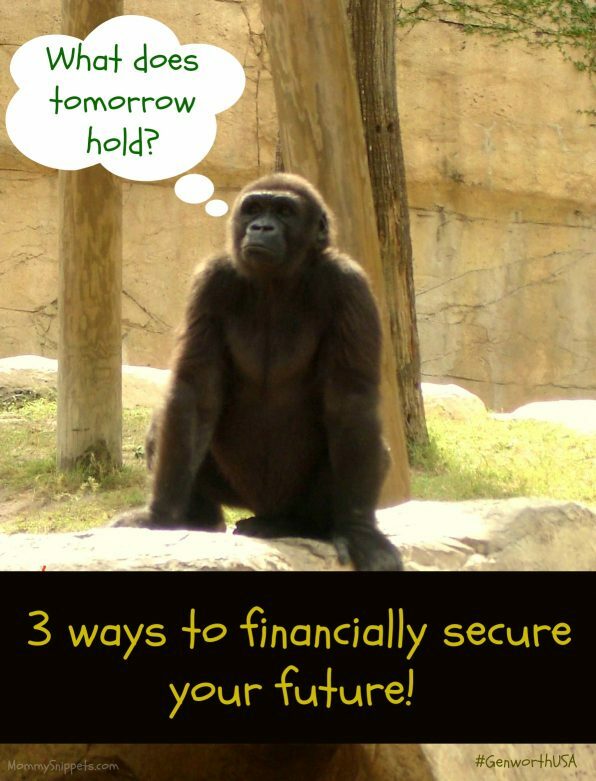 What are your suggestions on financially securing ones future? I am so sorry Brett. I pray y’all won’t have to do any dipping and things will roll over quickly. I totally agree to not put the conversation off. 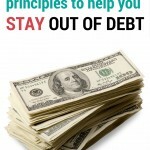 That’s true about many things, but especially your finances! We have had this talk in our family. It is so important to do this but too many people put it off. I am so grateful I am on top of this for my family. It’s very important to do this before it’s too late! These are good tips. We have really had to budget and move stuff around since I work from home now. You just never know what will happen! Thanks for the tips! I really need to sit down with my husband and have a discussion about this. Those are some good tips. I definitely agree that planning ahead is key. 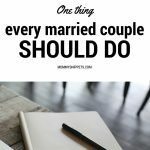 This is a tough subject for me, since my husband and I have been living on the edge (not by choice, of course!) for the last several years. I always say, “It’s tough to budget zero.” Happily, we are doing a *little* bit better and finally have some breathing room. Next step is to start investing and saving again. Goals! My husband has always told me even if you have pennies left, save those pennies. Getting into the habit of setting apart a little every month as savings for a fund/policy is always hard but once you get into the rhythm of setting apart, it gets easier. Those are really good tips, thanks for sharing! I pray this shut-down mess doesn’t last long, and that Congress learns how to behave like adults and not three-year-olds fighting over their toys. I agree. 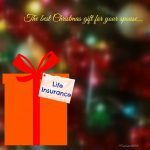 It’s sad that so many families are affected by this…and not in a good way! Such a wise decision to diversify investments like that. I really need to spread my savings around! While I think saving for retirement is key, I also think paying off your debt is SUPER important. I mean, how will you pay old debt when you’re NOT working, right? I agree 100%. Very, very important!!! Most families are living paycheck to paycheck. A furlough or storm can destroy a lot of us. There’s nothing like having a savings account and a plan! Great tips! I really hope that the government gets it’s act together and gets back to work soon! Especially with this government shutdown happening, it makes me feel like I definitely need to be the one to control my future. Great tips, thanks for sharing. Way too many people have the “I will plan for the future tomorrow” mindset – they just don’t understand how important it is to start early! Great tips. I think that one tip is to always live within your means. Being humble and planning financially is so important! YES!!! Preach it girl!! That’s the danger of having a credit card, Most families don’t set limits when they swipe. Big big mistake! It’s important to even teach our kids from young to live within their means! Has to become a lifestyle! My husband lost his job in 2011 and we had to dip into our savings and we pretty much depleted it. 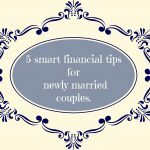 Your tips are good ones and something we are using to replenish our savings again. I also agree with the comment “live within your means”. I’m sorry Leah. I’m sure that was a scary situation to be in. I really hope things pick up well for y’all…and soon! theses are some great tips, I have always been a planner, and planning is so important. If you keep putting off ’til tomorrow, it will never come! Definitely plan for tomorrow … today! I struggle to figure out the best way to plan for the future. But I have been working hard lately to figure out a good plan. YES on all of this. I opened an IRA this week and had to sit here and learn about annuties and stocks, etc and I feel empowered by doing it all finally. I refuse to be 75 and just starting. I think it’s a good tip not to put your eggs all in one basket. You are more protected if you invest in different places. Great tips! Getting a plan in place is key. Thanks for the tips! diversity is very important! That way if one investment falls through you aren’t completely at a loss financially! Thanks for sharing these tips. We don’t really have a savings but need to start one. My grandfather always told me to “live within my means” and I never really UNDERSTOOD what he meant. Since meeting Mike and learning more about money, I have become more financially secure, and it is an amazing feeling. My heart breaks for those struggling with the shutdown and everything. Tough times. These are great tips, and SO timely. That’s exactly what my husband always says and I thank God I’m married to him. I’ve definitely become wiser with my spending habits! It is a sad, sad situation many are going through. I just pray it won’t last long and when over will be a lesson in learning to live smart, spend smart and save smart! I think it’s really sad that so many people will never be able to retire and not worry about how they will EAT. It’s a struggle every day but we prioritize a lot and do not buy anything on credit.